Low Head is on the northern coast of Tasmania, near Launceston. I visited the lighthouse on 24th and 25th July 1987. 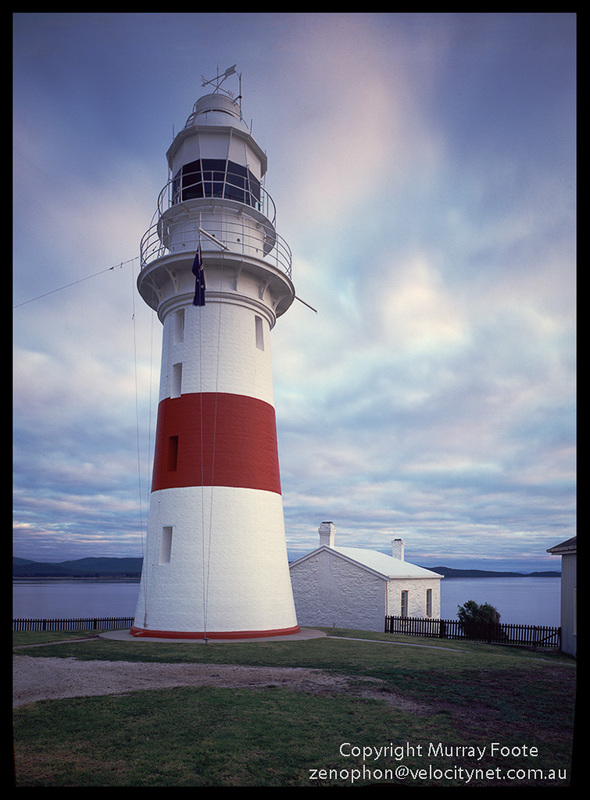 The original Low Head lighthouse was built in 1832, the second lighthouse in Tasmania and the third in Australia. However, the original lighthouse deteriorated and the current one replaced it in 1888. The red band was added in 1926. The building beside the tower predates the current lighthouse and probably dates from the original one. According to my notes it was once used as a schoolhouse. Here is the lighthouse and buildings after sunset. It stands at the head of the Tamar river, the main maritime access to Launceston, the main port in northern Tasmania. 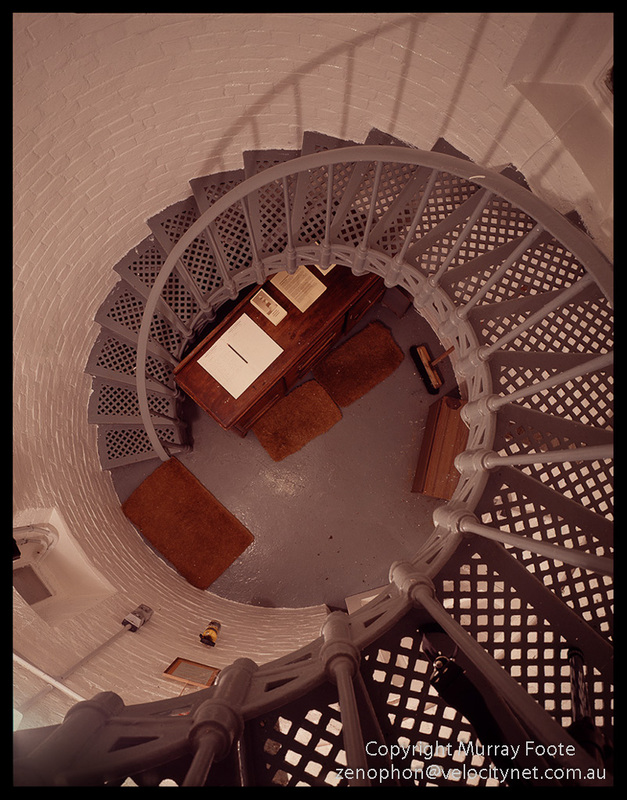 This is the spiral staircase, desk and visitors’ book at the entrance to the Low Head lighthouse. At this time, one of the northern Tasmanian lighthouses, either Low Head or Eddystone Point (which we shall see next), had the task of recording weather readings. These days this would be automated. In 1987, however, this required that every three hours, day or night, the lighthouse keeper recorded a set of readings in a log book and probably radioed them to the Meteorological Office. This entry was posted in Australia, From Dusk Till Dawn and tagged Architecture, Australia, History, Landscape, Lighthouses, Low Head, Photography, seascape, Tasmania, Travel.